To make sure you get the best deal we'll show you great prices from all of our drivers, including Raven Removals, if they're available on the day of your move. Have a question for Raven Removals? No problem, send them a message and they'll email you back as soon as possible. If you have a more general question you might find it answered in the FAQ, or you always contact one of our brilliant customer service team. * Raven Removals won't be able to see your email address. Raven Removals is a professional removals company offering domestic removals, commercial removals and storage services. Forget the stress of moving your things from one place to another and let our specialist team manage and control your relocation from the stages of packaging, moving and even un-packing as required at your new place. Raven Removals have steadily built a strong reputation for providing high levels of services across removals and storage business. We guarantee door to door service at affordable prices that may be compared to any rival company. 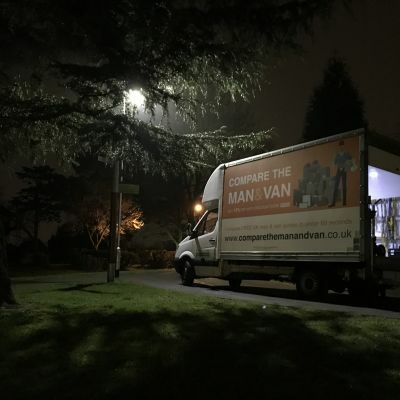 Raven Removals operate with a highly professional trained team that may collect your goods carefully from your area or any location of your choice, such as garage or storage facility. Your furniture and other precious things are wrapped well and professionally, using the latest packing materials and techniques for protection during the move. Our professional staff members are cleared by Criminal Record Checks and to improve the professionalism throughout our business and staff, our company arranges time to time in-house and external training programs. Great friendly guys, prompt and polite. Happy to go the extra yard in getting the furniture in to each room. Would recommend this company to anyone looking to move. We didn't pay enough as the traffic was apparently very heavy so we had to transfer additional monies post delivery. Perhaps this needs to be thought through?? MICHAEL WAS BRILLIANT AND EXTREMELY HELPFUL. WE HIGHLY RECOMMEND MICHAEL AND WOYLD USE HIM AGAIN. Best guy! Very carerul with goods, well strapped in place, on time and very helpful. The man and his service was excelent. Great service! he helped us with the armchair too as my housemate had hurt her back - very friendly but professional. would use again.